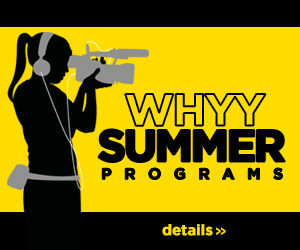 Students at George Washington High School participated in the WHYY Media Lab After-School Program. During the 2017-18 school year, students worked with WHYY instructor, Rebecca Morgan, and Ms. Kirby, a teacher at the school, to produce several news episodes for The Eagle News. Each episode was filmed and edited by the students. One of the episodes helped them land a few awards from the Philadelphia Public School Notebook’s annual journalism competition.